Walk on the clouds with Delli ALDO’s plush Oxford moccasins, which are as stylish as they are comfortable! These shoes can be dressed up or dressed down, so throw them on with your favorite pair of jeans or a casual suit. The luxurious leather lining lets your feet breathe, keeping your shoes fresh and clean. Padded insoles provide extra comfort, while the rubber outsole gives these casual shoes flexibility to your step. The lace-up ties can be adjusted, ensuring a comfortably snug fit. 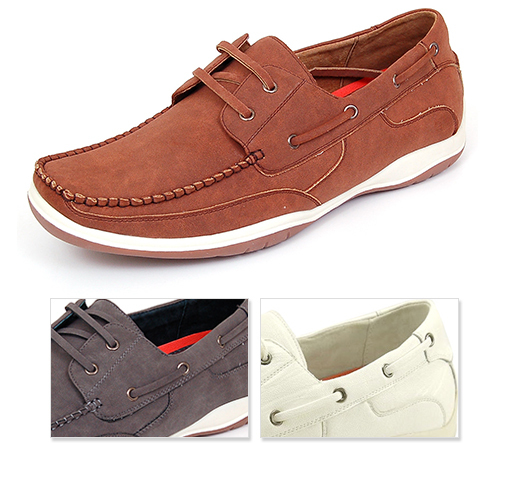 If you’re looking for versatility and comfort, then these casual Oxford moccasins are made for you! *Please allow up to 7-10 days for your order to ship.